Simple-hearted and spontaneous, all children love to dance. 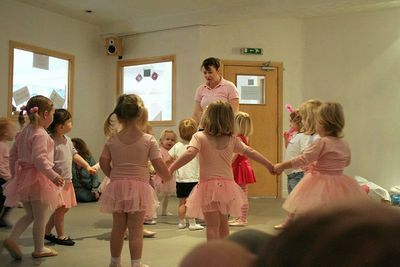 Even the littlest toddler will joyfully respond to whatever music is being played by his or her parents, and therefore these days dance classes are extremely popular for kids of all ages. Here in Melbourne there is a huge variety of children's dance classes available, ranging from those in traditional styles such as classical ballet and Bharat Natyam, to more modern types like jazz ballet and hip-hop. Based on your personal experience, which Melbourne dance schools and teachers do you recommend? What style of dance do they specialise in and did your children enjoy their lessons? Which classes are best for very young children and which are suitable for older children and teens? The Space is a dance and arts centre situated in Prahan...upstairs at 318 Chapel Street, They have a special program called Next Gen which gives children from 2 years old up to young adults of 16 the chance to try out a variety of different dance styles including ballet, jazz, tap, hip hop, lyrical and breaking. Classes are taught by professional dance teachers, and are very good. Their website is http://www.thespace.com.au/kidsclasses or phone them on 9529 3949. Not meaning to be a copy cat, yet the Space in Chapel St is great. There is also a great place in Southbank for ballet, but for the life of me I cannot remember the name. Now a Sydney resident, that can be excusable.